In 1994, soon after Timothy Kelly became Virginia&apos;s mental health commissioner, he took a trip to one of the state&apos;s psychiatric facilities. Staffers rolled out the red carpet: impressive presentations, guided tours, meetings with residents. The whole place seemed so functional — too functional, Kelly thought, suspecting they&apos;d built a Potemkin village for his benefit. A few weeks later, Kelly dropped by unannounced. In a building housing residents with behavioral problems, he detected odors of urine and unwashed clothes. Though such patients require intensive treatment, the commissioner saw them hanging out in rooms in groups as employees lazily chatted in hallways. Kelly, a practicing psychologist and former professor, seethed. In the months to come, during surprise stopovers at the rest of the state&apos;s hospitals, he often found overmedicated patients slouched on couches, watching television. While commissioner of Virginia&apos;s Department of Mental Health, Retardation and Substance Abuse Services, Kelly labored to fix facilities and advocate for better mental health care statewide. But he quickly discovered the issues weren&apos;t unique to Virginia, and there was only so much an agency head in a single state could do. After stepping down from the post, Kelly began work on an ambitious plan to revamp American mental health care. 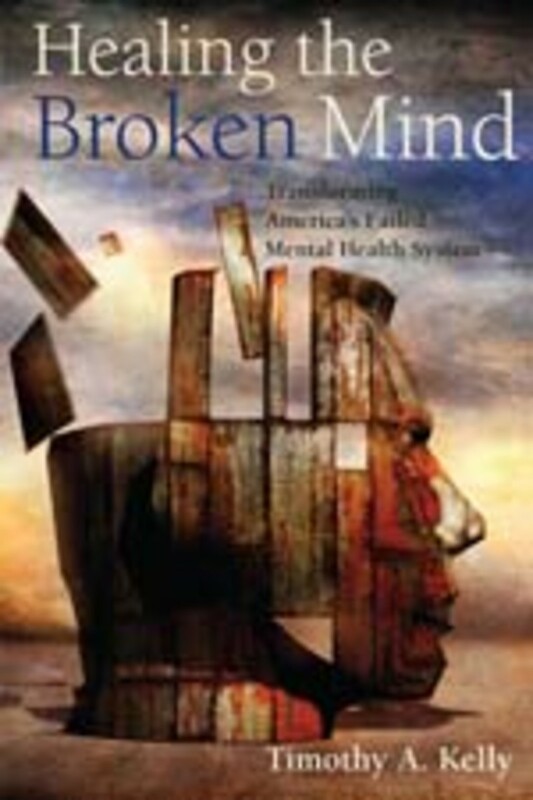 The result, Healing the Broken Mind: Transforming America&apos;s Failed Mental Health System, offers a thoughtful introduction to a subject that&apos;s often shunted aside in the health care reform debate. The patchwork system that treats Americans with mental illness is a lot like the U.S. health care system as a whole — only much worse. Psychologists and psychiatrists too often rely on outdated treatment methods, and insurers frequently refuse to pay for much-needed preventive care. Economic incentives cut against doing right by patients. And many Americans still fear the stigma that comes with merely admitting they&apos;re sick. 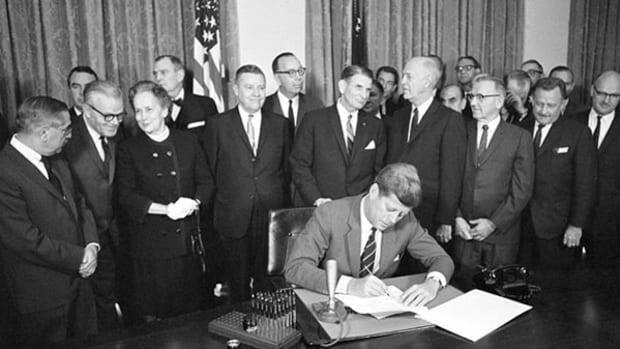 As the latest presidential commission put it in 2003, "America&apos;s mental health service delivery system is in shambles." Yet this and other calls for mental health care transformation have resulted in piecemeal changes that fixed very little. The issue affects vast numbers of Americans: In recent years, one-quarter of U.S. adults met the criteria for diagnosable mental illness, with some 340,000 attempting suicide. In addition to the ethical considerations that militate in favor of helping people with mental illness, there&apos;s a financial imperative: America spent $69 billion on mental health services in 1999, and the current number is likely much higher. A more efficient system would be an economic boon, producing benefits that range from increased worker productivity to a smaller prison population. A recurring theme in Kelly&apos;s road map toward change involves measurement. All levels of the mental health care system, he says, need improved assessment so decisions can be made based on data rather than tradition or conjecture. Right now, that rarely happens. When a person shows signs of major depression, a psychiatrist or psychologist might treat the patient using Freudian psychoanalysis — not because of anything that research says about the usefulness of the approach, but because that&apos;s what the doctor learned during graduate school in the 1970s. Despite a growing body of literature devoted to the testing of mental health care methods, less than 15 percent of mental health consumers receive care based on evidence. If Kelly had his way, every consumer (the politically correct term for "mental health patient") entering a therapist&apos;s office would fill out a lengthy questionnaire, with follow-up information added on a weekly or monthly basis, depending on care received. Therapists would use that patient feedback — which would range from customer-service responses about treatment received to descriptions of the patient&apos;s mental state — to deliver better services. Insurers could make certain the fees they pay are put to more cost-effective use. State mental health agencies might use outcomes reported during the questionnaire updates to decide where to deploy or cut back funding. Experts and professors could aggregate the data and use them to make better recommendations in training providers. Kelly admits that outcome-oriented mental health care is far from reality: When he became Virginia commissioner, his staff couldn&apos;t even estimate the number of patients using the state system, let alone provide him with figures on outcomes. His ideas on data-collection aren&apos;t very popular now either: Patient advocates and doctors criticize the increased documentation as a burdensome, expensive administrative headache, and insurers fear consumers will game the system. Kelly addresses these concerns effectively. For instance, he describes a nuanced approach to link patient outcomes with public funding for agencies — but without penalizing providers that treat challenging populations. He also marshals evidence that, in the long term, outcome measurement will lead to better care and lower costs. For support, he points to Australia, where a system similar to the one he envisions is in place. Americans remain faithful to the mental health status quo, he argues, partly because of the monopolies each of the states holds. Mental illness has no obvious voting constituency; the current treatment system includes little competition that would foster anything like innovation. In Virginia, bureaucrats were so complacent, they awarded a construction contract for a psychiatric facility to a company that had tried (and failed) to bribe state officials — and then allocated another $20,000 toward surveillance of the contractor. Though Kelly says he wants to end those state-level monopolies, his proposals are less about trust-busting or privatization than they are about taking advantage of the government&apos;s monopoly power to bargain for better deals. He advocates common-sense plans, including the expanded use of competitive bidding and the requests-for-proposal process, rather than the sole-source contracts that inflate construction costs (and mental health service fees) in many states. He believes that greater transparency about mental health outcomes will cause states to compete with one another for bragging rights, and that experimental pilot projects can foster improved outcomes. In Virginia, for example, his department developed the concept of the "treatment mall," a central location where psychiatric facility residents can access a variety of services daily, such as social-skill training and anger management. It may not sound like a groundbreaking idea, but it&apos;s likely more effective than the glorified baby-sitting that sometimes passes for publicly funded, inpatient mental health care. In Kelly&apos;s view, regulators need to seriously rethink how insurance companies provide for mental health care. An insurer might now cover mental health treatment but, in some cases, for as few as seven days per year, and substance abuse treatment often is not covered at all. Recent state and federal laws mandating parity between mental and physical care insurance are still littered with loopholes. Not all mental illnesses are created equal. When it comes to affecting a patient&apos;s quality of life, there&apos;s a huge difference between caffeine addiction and major depression. Yet some insurers reimburse for all conditions similarly. Kelly advocates directing the bulk of limited funds, private and public, toward the 6 percent of the U.S. population with serious mental illnesses, particularly schizophrenia. It&apos;s one of many proposed compromises by which the author shows that he&apos;s no ivory-tower academic, and that he&apos;s well aware of the medical and political challenges involved in mental health care reform. In the mental health system, as in any other market, change won&apos;t arrive without citizen demand. In terms of physical health care, the old dynamic of doctor as expert and patient as passive consumer is fading from the modern scene. The mental health care system, however, still follows outdated patterns. Many Americans are so averse to talking about the subject that when someone in their family faces mental illness, they have little clue what to do. 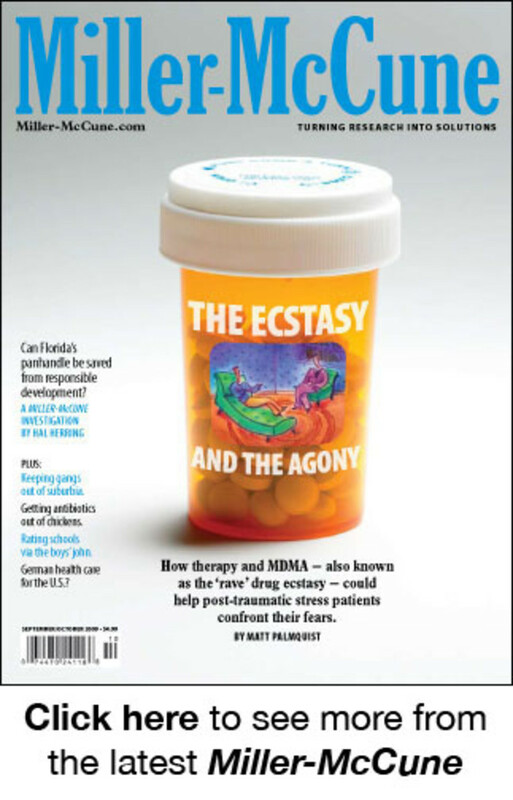 The result, far too often, is time and money wasted on ineffective therapy or unneeded pills. For all its faults, the U.S. mental health system has progressed a long way over time. Gone are the medieval asylums where patients were at times chained to walls in rooms filled with excrement; early in the 20th century, such facilities were reformed into mental hospitals. After World War II, breakthroughs in anti-psychotic medications and Great Society-funded community mental health centers meant even those suffering from severe mental illness could return to their communities. Kelly believes America is on the verge of another systemic transformation. He&apos;s encouraged by media stories and political speeches highlighting critical issues, including the daunting rate of post-traumatic stress disorder among veterans of wars in Iraq and Afghanistan and the crisis of mental illness among the homeless in major cities. Though mental health care is still nowhere near the top of the national agenda, at least it now has a place on the list of problems needing attention. Perhaps Kelly&apos;s book will move it up the list a few notches.